Home > Mysteries > What are the Most Mysterious Places on Earth? The Earth itself is a mysterious place full of ever-changing elements that leave us in awe of our planet’s majesty. It is through a combination of these ever-changing elements and the interference of mankind that we come across some of the most mysterious places on Earth. What it is that makes a location mysterious varies, for some it is the presence of unexplainable elements and for others it is simply the amazement that something came to be in the first place. Regardless of how these mysterious places came about though, each one of the locations listed below is considered to be puzzling in one way or another. No discussion of the mysterious locations on Earth would be complete without the mention of Stonehenge. Located in Wiltshire, England, Stonehenge is a prehistoric monument composed of large stones. The exact purpose of these stones has never been discovered but many have speculated that they were used for a number of mysterious purposes including human sacrifice, contacting alien life forms or simply telling time. According to researchers Stonehenge was erected somewhere around 2500 BC and much evidence points to the fact that these stones served as some type of burial monument. Stonehenge itself sits directly at the center of hundreds of burial mounts that date to the Bronze Age. Archaeologists that have studied the area extensively have even recovered cremated remains from the area that seem to date back to 3000 BC. 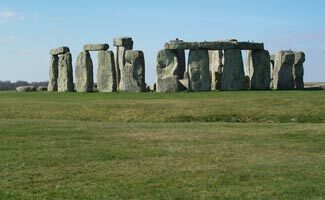 The finding of these cremated remains suggests that perhaps Stonehenge dates back to 3000 BC rather than 2500 BC as the human remains seemed to be located in the initial phases of the building site. Further excavation of the area has also revealed that burials continued at Stonehenge for approximately 500 years. While burials of cremated remains are believed to have spanned some 500 years, the building process of Stonehenge itself is believed to have taken around 1500 years to complete. However, coming up with exact numbers for the age of Stonehenge is difficult for archaeologists because of the weathering of the structure as well as its exposure to animal activity and hundreds of years of tourist visitation. Researchers do believe that the monument was constructed in five stages which created the final shape of the monument as it stands today. What it is that makes the existence of Stonehenge so mysterious is that there are no written records left by those civilizations that created the monument and so we are left only to guess as to its purpose based upon the cremated remains found in the area and other similar but much more diminutive burial mound structures. The two main theories that abound currently in regards to the intended use of the Stonehenge construction by those who built it is that it was intended as a place to heal the spirit and that it was intended as a realm for the dead somewhat like a resting place for the spirit. Without written records we will never know anymore than the Earth can tell us about the mighty stones that stand two miles west of Amesbury, England. Much like Stonehenge, no discussion of mysterious places on Earth would be complete without the mention of the Bermuda Triangle. The Bermuda Triangle is an area located in the Atlantic Ocean spanning from Bermuda to Puerto Rico to the coast of the Florida panhandle. The Bermuda Triangle is one of the most heavily traveled shipping lanes in the world, yet it is known for being surrounded by mystery due to the incredible number of ships and planes that have gone missing while in the area. It is not only ships and planes that have disappeared while traveling through the Bermuda Triangle, however, but entire crews have disappeared from ships that emerge from the triangle completely empty. Just what it is that causes such mysterious disappearances in the triangle area to occur are unknown, but many people attribute it to the compass changes that take place in the triangle that leave sailors and pilots disoriented as to their location within the vast ocean territory. While the most understandable explanation for the disappearances that take place within the Bermuda Triangle is related to compass variations, there are a number of other individuals who believe that they have another explanation entirely. Various other explanations for the mystery of the Bermuda Triangle include: piracy, alien encounters and abductions, the flow of the Gulf Stream, methane hydrate presence on the continental shelves and a possible connection to the lost island of Atlantis. Just what it is that explains the many ships and aircraft that go missing in the Bermuda Triangle area is unknown, but it seems that the most logical explanation for many is navigational error based on human error or compass variations. Mentioned as having a possible role in the mystery that surrounds the Bermuda Triangle, the Island of Atlantis is another of the most mysterious places on Earth. Landmasses simply do not disappear, this is impossible to comprehend and yet that is what is believed to have happened to the Island of Atlantis. In a time before the mass movement of the various continents on the planet Earth, there existed a large island that sat between the Americas and the African continent. This island was named Atlantis and has been portrayed on a number of ancient maps; however, today there is no sign of the island itself. The first mention of the island of Atlantis came in 360 BC in writings of the ancient philosopher Plato. According to his writings Atlantis was a strong naval presence that exerted its influence and power over various European countries and Africa. According to Plato after an attempt to invade Athens, the island of Atlantis sank in to the ocean completely in just one single day and night. The unbelievable nature of an entire island simply sinking in to the ocean in a single day and night leads many to believe that the island of Atlantis itself was a place of legend and never actually existed; however, there are those who do believe that the island once existed. For those who believe in the legend of Atlantis there are a number of explanations that abound in regards to how the island simply disappeared. Some believe that the island truly did just sink; others believe that the disappearance was due to a volcanic eruption that claimed the land or a giant tsunami that simply swallowed the island. Modern day adventurers continue to search for the lost island and many have proposed potential locations for the island, yet no one has actually been able to point to the actual existence of Atlantis. For most people today the idea of the island of Atlantis is nothing more than a myth, but for those who continue to search, the potential of discovering a lost civilization is just around the corner. The Nazca Lines are a series of geoglyphs that can be found in southern Peru’s Nazca Desert. Perhaps the most recognized of all of the geoglyphs is the condor or the monkey. It is believed that these symbolic markings in the desert ground were made some time between 400 and 650 AD by the Nazca culture. The depictions themselves portray a number of figures including the monkey, pelican, condor, giant, dog, spider, hands and the hummingbird. Each of the depictions is made in very simple line form made by creating shallow lines in the ground, removing the red stained pebbles that lie on the surface of the desert. Since the ground below the red top layer is white, the geoglyphs all appear to be white in color. There are approximately 300 figures that have been noted to date and approximately 70 of those are animal, avian or human in form. 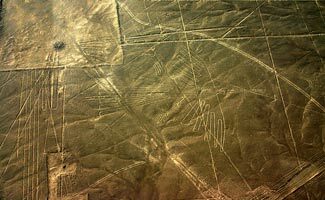 The lines of the Nazca line geoglyphs have been preserved well due to the fact that the planes of the desert area are relatively well shielded from the elements. The exact reason behind these well-preserved depictions in the desert is unknown; however, many theories abound. According to some, the Nazca people created these large depictions as religious symbols that could be viewed by their God’s. Others believe that the lines served geographic purpose pointing to astronomical and cosmological signs. One other theory suggests that the lines of each depiction follow “sacred paths” along which the deities responsible for providing water to feed crops could be worshipped. Unfortunately no amount of speculation can tell us why these geoglyphs came to be and so this mysterious place on Earth remains a mystery. Think of Easter Island and one thing comes to mind – the hundreds of moai or human head like statues that dot the island. Easter Island came about through volcanic eruptions and the giant moai statues are, likewise, built from volcanic ash. The moai are giant in size and just why they were carved remains unknown but the biggest known to date weighs 165 tons and stands 22 meters high – quite a feat for anyone to carve. What makes these moai stand out from the island more than their giant heads which make up some one-third of the statues, but they are the only things standing on the hilly island that features absolutely no tree life. With nothing but grass and hills Easter Island goes down as one of the most mysterious places on Earth due to the hundreds of stone statues, many of which stand side by side. There is speculation that the many stone statues came about through the Rapanui people who arrived to the island from Polynesia and built the statues as a symbol of their religious and political power. It is not perhaps the design of these statues or even the meaning of them that draws the most questions though, but rather how the statues got to be where they are today. The huge volcanic rock statues measure far more than one man could lift and yet many of the statues are located some 25 kilometers away from the quarry and have been lifted on to platforms. Scientists suspect that these statues were man-moved however due to the fact that only a few of the hundreds in existence on the island actually made it to their final ceremonial site. With no signs from the ancient Rapanui people though it is impossible to determine the details of these giant Easter Island statues and we are left to speculate about this mysterious place on Earth. 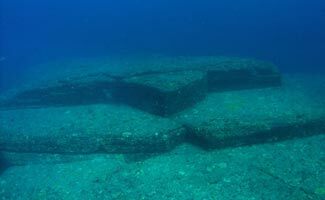 The Yonaguni Monument is one of the lesser known mysterious places on the planet Earth which sits just off the coast of Yonaguni, in the Ryukyu Islands in Japan. The monument was discovered in 1987 when a shark diver discovered numerous structures laying on the seabed. After the discovery Kihachiro Aratake – the discoverer of the location informed a group of scientists who would visit the location to investigate. Primary investigations of the monument suggest that the formations are manmade from sand and mudstone that was deposited in the area some 20 million years ago. The structure itself features a number of architectural details such as terraces, steps, pillars, a road, a totem, a dividing wall, a star-shaped platform, a triangle pool and a stage. Some of those who have researched the Yonaguni Monument have suggested that it is similar in appearance to the Okinawa Tomb also made from rock and suggest that this monument also could serve the purpose of a tomb. While disputes abound as to whether this monument is manmade or not the fact remains that even if this structure was manmade the last time that it could have been modified was in the last ice age when the monument would have been accessible by land. This age makes the monument equally as interesting to those studying ancient peoples as it would be to those studying a naturally produced by human modified structure. Machu Picchu located in Peru was discovered by Hiram Bingham in 1911. The American explorer stumbled upon the abandoned Peruvian empire while exploring the jungle of Peru. At the time of its discovery Machu Picchu had already lay undisturbed for hundreds of years as it was so deeply buried in the jungle growth and the ridge in which it sat. After stumbling upon the empire; however, Bingham introduced the lost ruins to the world and theories as to the origin of the ruins began to fly. As there were no written records of the activity that led up to the building of the empire we are left to wonder as to who actually created the massive structures and why they were built. 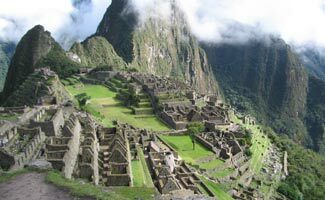 There are a number of theories that revolve around the origin and use of Machu Picchu, some believe that it was built as an estate that belonged to the emperor of the Inca people, Pachacuti and it served solely as a royal retreat. The reason that this theory is held true by so many is due to the fact that it aligned with many of the astrological events that took place during that time and such astrological events were attributed to the gods and the emperor of the people. Bingham himself believed that the buildings of Machu Picchu were constructed to house the virgin women who vowed to lives of chastity and lived only to serve the emperor; however, as with all theories about the use of this lost empire, there is no factual proof to support this theory. The great sphinx of Giza remains one of the Earth’s most mysterious features. This gigantic statue is the biggest monolith statue in the world and is some 241 feet long, 20 feet wide and 66 feet high. It is believed that the great sphinx was built by the ancient Egyptians during the reign of Khafra a pharaoh during the old kingdom. The reason that this gigantic statue remains one of the world’s most mysterious places on Earth is due to the many unknowns that surround it. Who built the Sphinx, who modeled for the Sphinx, why was the Sphinx built – these all remain valid questions that center on this giant historical figure and none of them can be answered. There have been many suggestions as to the unknown factors that surround the great Sphinx, yet none of these theories can ever be proven. Many people believe that the Sphinx was built as a tribute to Khafra whose pyramid sits directly behind it; however, there are those who believe that the Sphinx existed prior to the building of the pyramid and had been buried in the sand. Others believe that the great Sphinx was built by Khafra’s father, Khufu and still others believe that the Sphinx began with the head of Anubis which was later remodeled to resemble Pharaoh Amenemhet II. 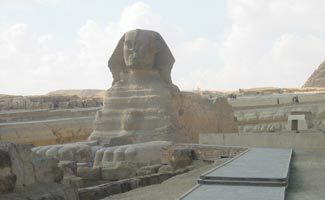 Despite all of these theories there is not one single piece of evidence which can say without a doubt why the Sphinx was built and who it was built for. Why Study the Mysterious Places on Earth? Some people ask why bother studying such places on Earth if there is no definitive answers to explain the questions that exist in regards to them. But, this is why we run this website – to help explore the mysteries of the world and life, even is we do not know the answers. There is much to be learned about historical cultures and other elements of the land by studying these various artifacts. While it can certainly be frustrating to be left without answers, there is something exciting in the mystery of not knowing. There is something almost freeing in the ability to speculate and create our own stories as to why these mysterious places are as they are today. 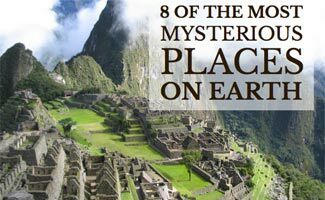 Perhaps one day some of the mysteries surrounding these worldwide locations will be revealed, but for now we must be content with vague theories and assumptions based on the facts that we do know about each of these awe-inspiring locations. What are your speculations on these mysterious places?